Time and again, Apple has stood up for innovation reflecting its co-founder’s belief, manifested in both its mobile devices and corresponding iPhone applications, uploaded in the app store. 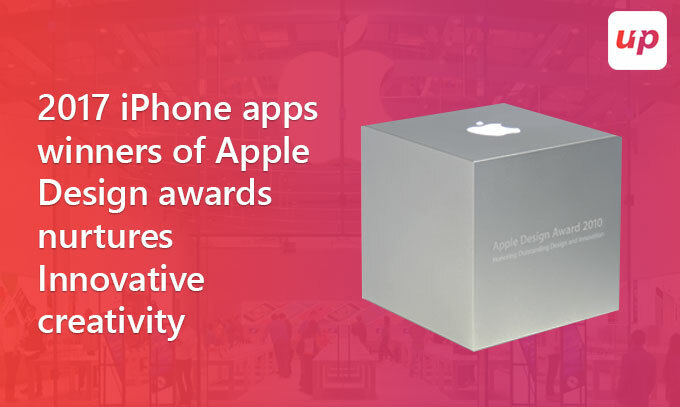 But, what is Apple Design Awards?? Already mentioned, innovation is the core objective of Apple Inc. aptly revealed in the ingenious designs, business models and strategies, all amalgamated together into rendering an incredible user experience. Also, the company makes sure to give recognition to all those applications, developed by different iOS application development companies around the world that reflect innovation and creativity in all the aspects. Such encouragement motivates budding iPhone app developers to exert more importance on creativity in their apps. Apple design awards give acknowledgment to the talented, artistic and creative minded developers set to establish a standard for ideal app design. Is Google going to lose AR war to Apple? 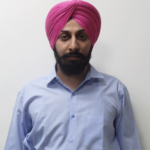 Recently, Apple handed out awards to those application companies, who succeeded in achieving excellence in application design, innovation and technology, as well as games, across iPhone, iPad, Mac, Apple Watch and Apple TV, representing eight countries around the world covering Austria, Canada, Germany, Israel, Italy, Singapore, Slovenia and the US, at WWDC celebrated on 5th June 2017 to honor its 20th Anniversary. All the budding iPhone and iPad developers out there, it is high time to pull your socks up and start designing your application such that it stands a chance to win the award. But, if you are confused, then refer back to the winners since it is imperative to understand and study their application design in order to ascertain the key factors that contribute towards their win. Old Man’s Journey- Available first on iOS, Old Man’s Journey is a captivating story molded into an adventurous puzzle game reflecting life, loss, and hope. A team of five in Vienna, Austria, designed the game using clever landscape-shifting game mechanics to solve puzzles, at the same time, narrating a short story entirely through imagery and sound displaying immersive and meaningful game play, beautifully hand-drawn art style with exceptionally crafted landscapes. The game narrates a story yet immerses users in an intriguing puzzle game, thus picked up for Apple Design Award. Splitter Critters- A team of two from Vancouver, Canada are responsible for designing such an amazing level-based arcade puzzle-game for iPhone and iPad bestowed with a mind-boggling game mechanics playable by all ages. Features that include touch-centric game play, absorbing sound design, and minimalistic paper-craft aesthetic along with clever tearing effect, scene re-arrangement technique, clever environmental mechanics such as laser beams, reflective surfaces, liquids, moving platforms, and immersive soundscapes for each world (best experienced with headphones) etc. contributed towards the application to eventually win the award. Bear- Not exactly an iPhone gaming application rather inspires creativity in offering an elegant and flexible writing tool for crafting notes and prose, exclusive to iPhone, iPad, and Mac, designed by a three-person team originated from Italy. Simple and clean design, beautiful typography coupled with fast user experience, Bear enhances writers’ focus level on their content, producing great looking results. Accessible in 11 languages, power packed with beautiful themes, extensive typography customization tools, and powerful capabilities, Bear handles a mix of short notes, articles, essays, long blog posts, code snippets, and more. Instead of merely reading through the reviews, it is best advisable to actually install the applications to better understand the reasons why they have won the Apple design awards for the year 2017. We, often, engage in Apple versus Google war but honestly speaking, Apple has always proved the point that it signifies class, either in its devices’ performances or innovative applications. Android app developers compete to design unique Android apps but still fail to beat Apple in innovation. Fluper, holding its position among top notch iPhone application developers, have encouraged innovative creativity in all the apps designed and developed by its team. Next articleWish to save your App?? Then sidestep few common errors. could subscribe. Thanks. I could not refrain from commenting.